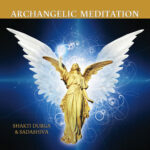 Shakti Durga has created this set of 54 cards, designed to be used separately or together with the original card deck Strength of the Soul, to assist you to attune with the amazing power of your soul as a means to transform your life, facilitate healing and blaze through the obstacles in your life. Strength of the Soul is the first deck of 54 cards of this series – combine the two sets for 108 inspirational cards. Also available as an App from the iTunes Store. Accessing the power of your soul is an incredible gift that is available to everyone. Shakti Durga has created this second set of 54 cards, designed to be used separately or together with the original set of Strength of the Soul Cards, to assist you to attune with the amazing power of your soul as a means to transform your life, facilitate healing and blaze through the obstacles in your life.